Scoot over, Fido There?s no shortage of excessively fancy dog houses out there for pup lovers to lust over, but this new soundproof kennel from Ford makes us humans want to crawl into a doggie bed. The automaker adapted its car soundproofing technology for the kennel, which is able to block out noises like fireworks (and, we assume, off-tune caroling). 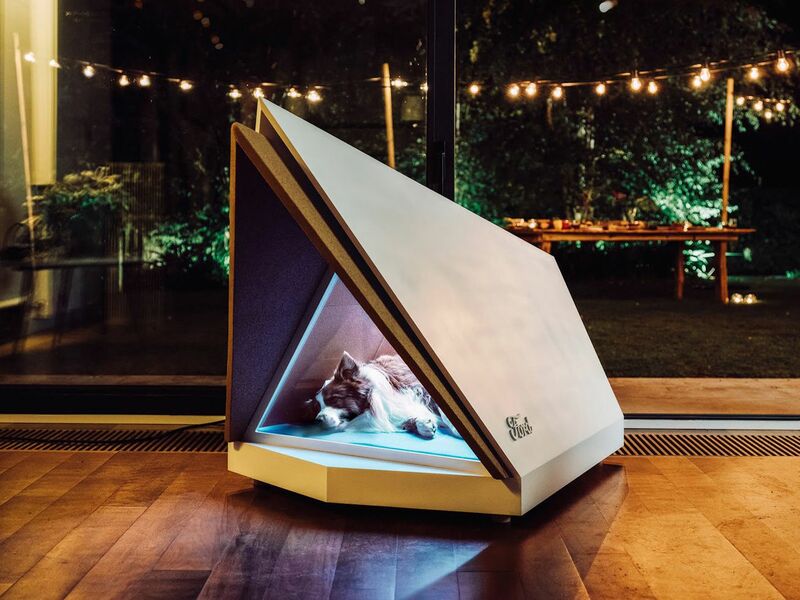 The angular dog house is built from layers of sound and vibration-deadening materials, including a soundproof ventilation layer, acoustic isolation panels, and a final layer of noise-canceling speakers. What are those speakers for exactly" As if all of the above isn?t enough, the kennel, like many high-end headphones, is outfitted with microphones that detect loud noises and cue the speakers to pipe in sound-canceling frequencies. Like Ford?s other soothing smart bed, the dog house is unfortunately still just a prototype. Here?s hoping the car manufacturer will iron out the technology, and make an anxiety-reducing retreat that?s big enough for humans, too.